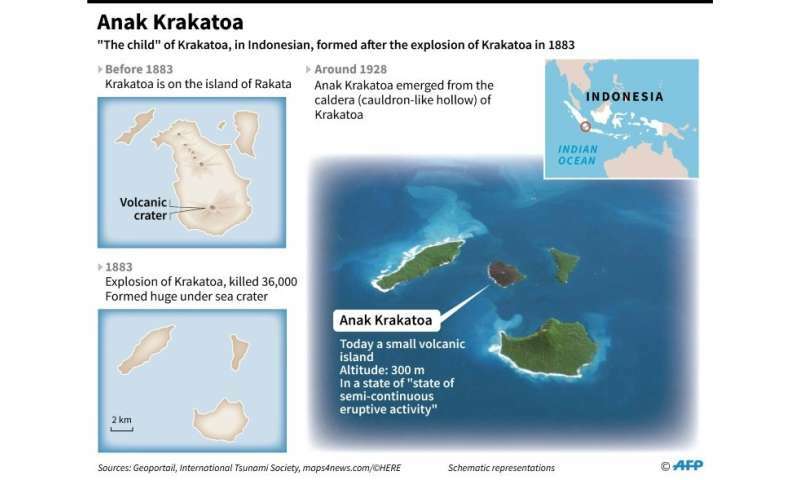 While tsunamis are often triggered by earthquakes, in this case experts believe the deadly waves were generated by an eruption of the Anak (or "child of") Krakatoa volcano, which could have caused a large undersea landslide or flow of molten rock into the water. The tsunami that struck on Saturday was the third natural disaster to hit Indonesia in six months. The country has 127 active volcanoes and lies on the Pacific Ocean's "Ring of Fire" where earthquakes and volcanic eruptions are frequent. 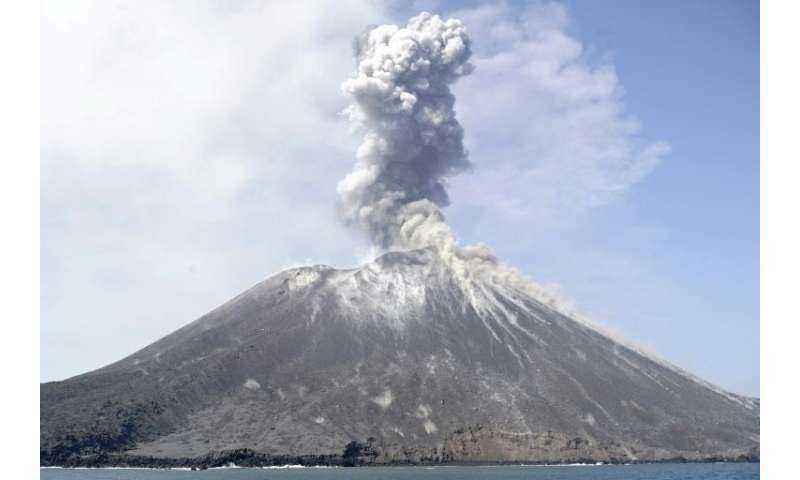 Anak Krakatoa, located in the Sunda Strait between Java and Sumatra islands, is close to densely populated areas. The volcano has been particularly active since June, noted Jacques-Marie Bardintzeff at the University of Paris-South. "We were helpless given how sudden" the event took place, Bardintzeff said. "The time between cause and effect was a few dozen minutes, which was too short to warn the population." The killer wave struck at night, sweeping across tourist beaches and low-lying settlements on both sides of the Sunda Strait and catching both residents and disaster monitors totally unawares. 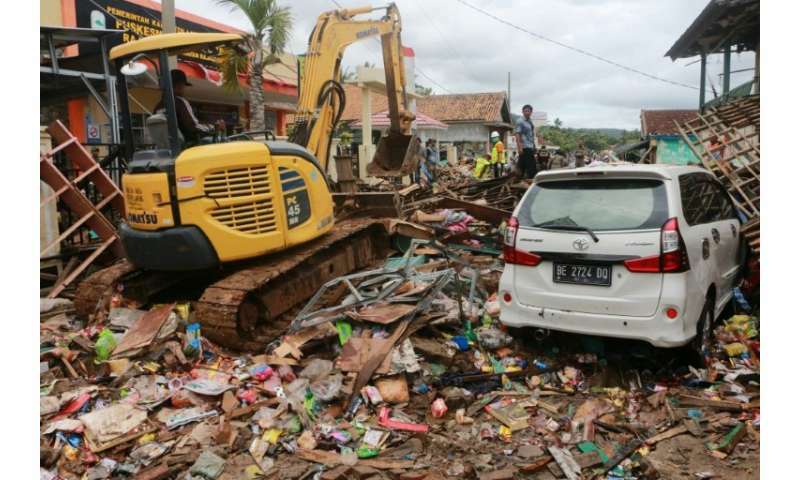 "Signs that a tsunami was coming weren't detected and so people did not have time to evacuate," said Indonesia's disaster agency spokesman Sutopo Purwo Nugroho, who blamed vandalism, technical problems and limited budgets for the lack of warning buoys. But the Open University's Rothry said such buoys, normally positioned to monitor earthquakes at underwater tectonic plate boundaries, would still have had limited efficacy. "Even if there had been such a buoy right next to Anak Krakatoa, this is so close to the affected shorelines that warning time would have been minimal given the high speeds at which tsunami waves travel." Simon Boxall of Southampton University said the region was in spring tide, "and it would appear that the wave hit some of the coastal areas at the highest point of this high tide, exacerbating the damage done". 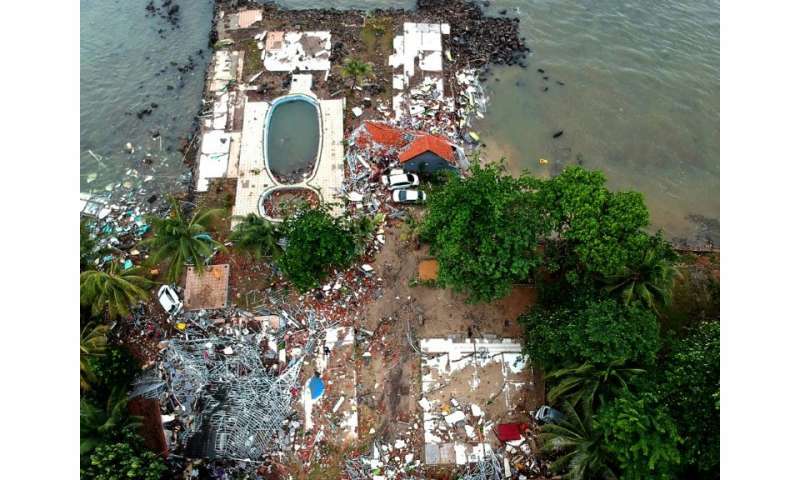 While the tsunami was relatively small, Richard Teeuw, a disaster risk reduction expert at the University of Portsmouth in England said: "Such waves—laden with debris—can be deadly for coastal communities, especially if there is no warning." Could more tsunamis be coming? "Devastating tsunami caused by volcanic eruptions are rare; one of the most famous (and deadly) was caused by the eruption of Krakatoa in 1883," Teeuw said. "The likelihood of further tsunamis in the Sunda Strait will remain high while Anak Krakatoa volcano is going through its current active phase because that might trigger further submarine landslides," he said. Sonar surveys would now be needed to map the seafloor around the volcano, but "unfortunately submarine surveys typically take many months to organise and carry out," he added. Bardintzeff warned "we must be wary now that the volcano has been destabilised".